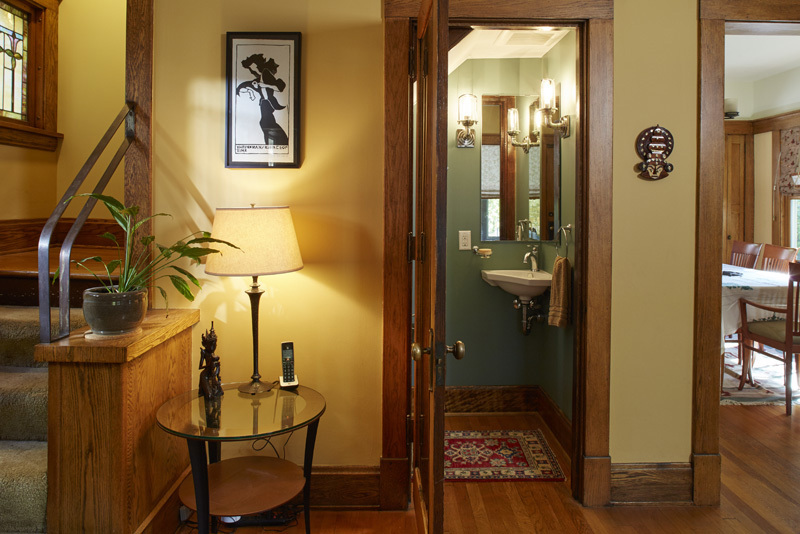 We often hear from people who dream of adding a bath to their main level, but do not want to add on to their home or give up valuable space in the main level living area in order to do so. 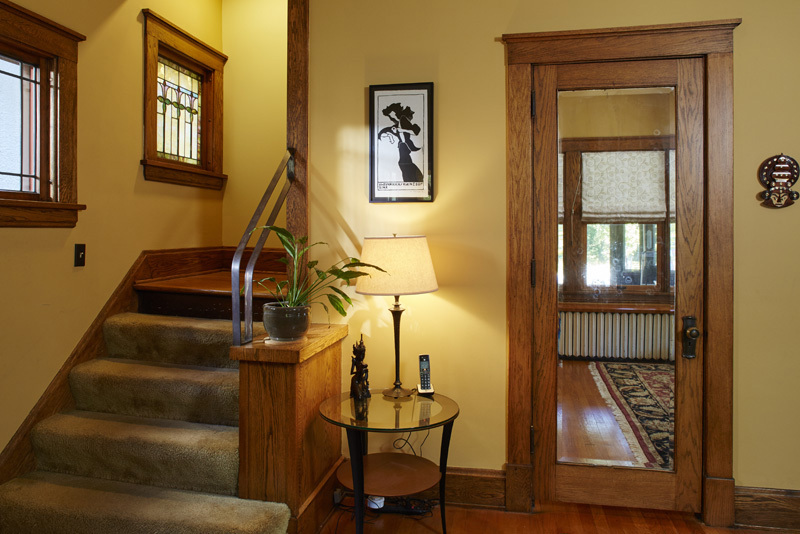 We recently completed a project for homeowners who faced a similar dilemma. Our director of sales & design, Katie Jaydan, found a creative solution to the problem. 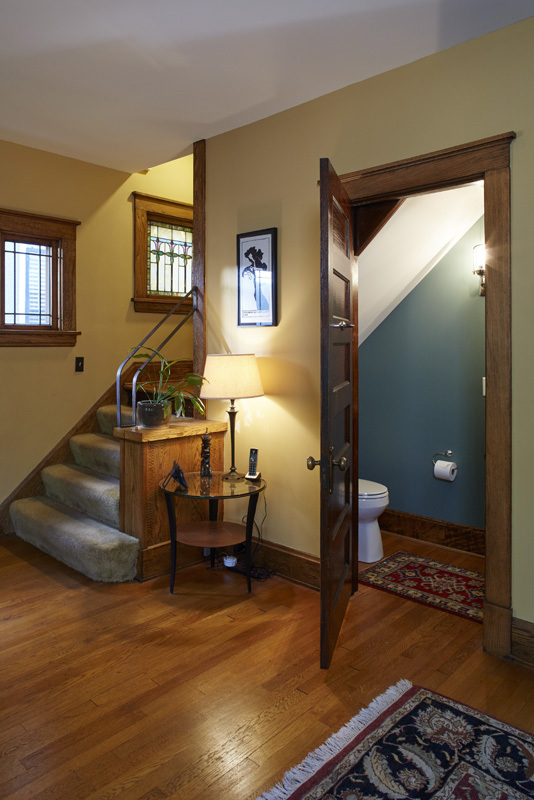 By re-purposing a front entry closet located underneath of the staircase leading to the second floor, White Crane was able to create a powder room on the main level – all without having to add on to the home or take space from another area of the main floor. A custom cabinet was placed in the front entry to store coats and outdoor gear that had previously been placed in the space under the stairs. 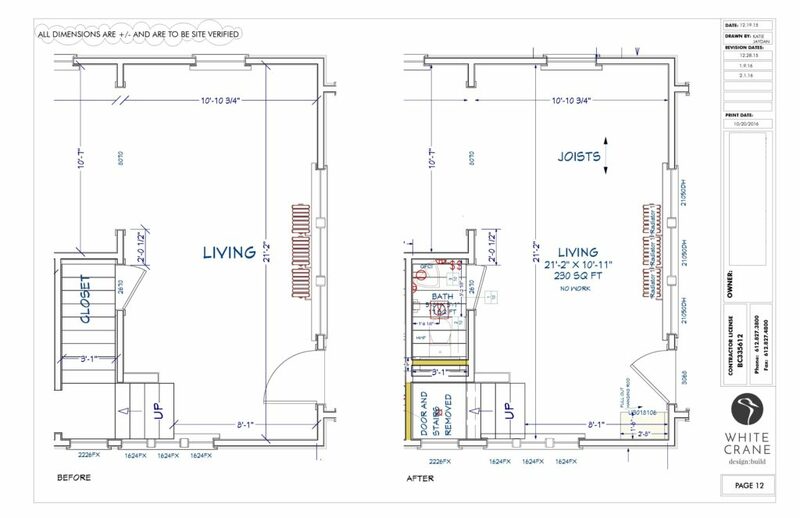 The plan below illustrates the space both before and after the powder room addition.